I'm a fan of eye liners. Be it pencil, pen, liquid, or gel. In my make up kit, it's always a must to have eye liners, because it gives accent and a little bit of drama on the eyes. When I was still on the night shift, I used to put on eye liners to make my eyes look more awake. Plus, it gives you a very different look. I am not a pro on using eye liners, but I must say that these are my favotite to-go cosmetics. In just a matter of a minute, you can go from zombie to barbie. 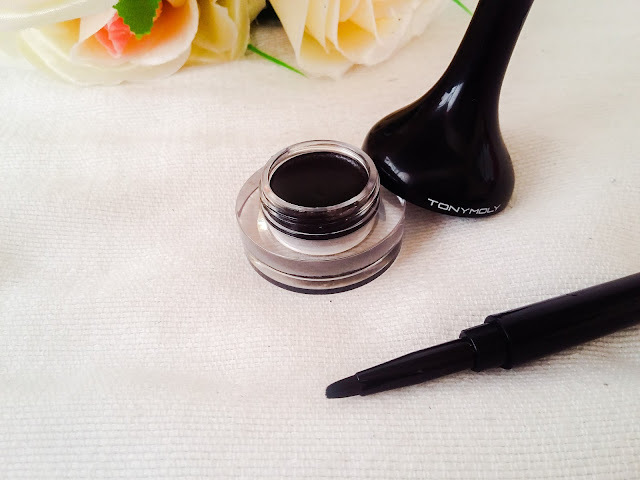 So for today, I will be sharing few thoughts about the Tony Moly Backgel Eyeliner in Pearl Black. What it claims: Smooth apply, no spreading by thixotrepic gel, good maintenace by waterproof film barrier. Korean cosmetics have such cute and unique packaging which will make you buy them. Tony Moly is one of the well known Korean brand of cosmetics here in the Philippines but there are a sure lot of different brands we never knew existed. Me, being a total fan of eye liners opted to try this one. However, I was very disappointed that this shade has shimmer and glitters on it. Who in the world likes glitters on make ups? Honestly, I wasn't impressed. This shade was too hard to blend on my lids. 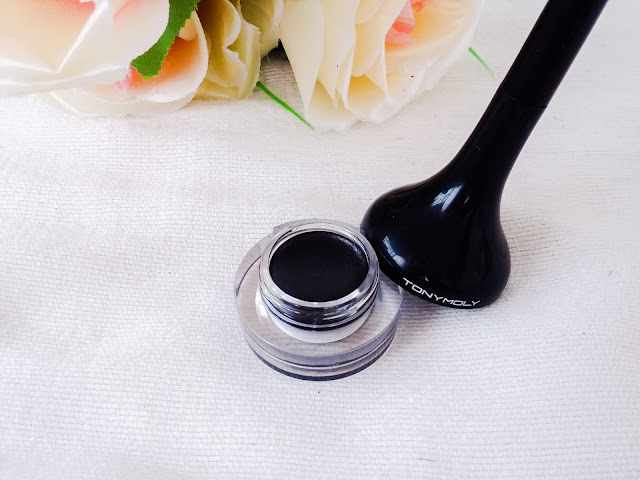 It's not pigmented and will take few layers before you can finally achieve the perfect winged liner. 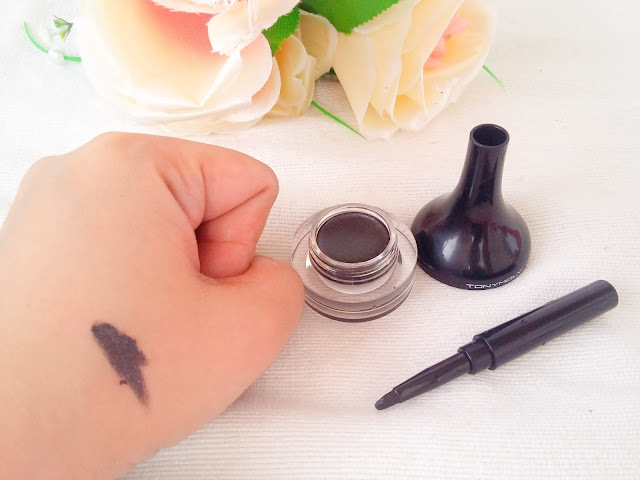 The above swatch took 3-5 layers of the gel liner before it was that black. 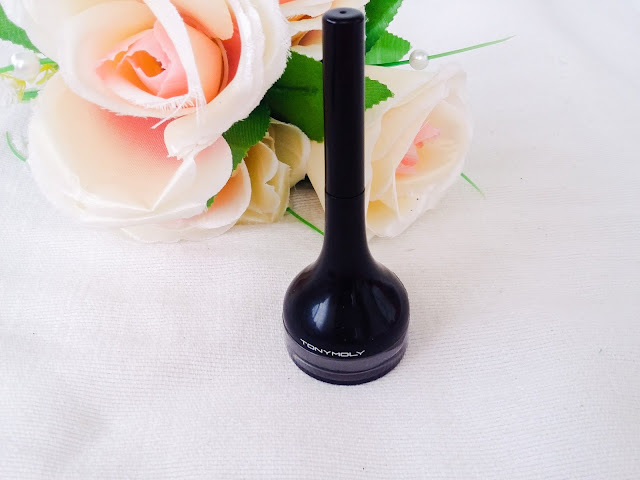 Though the brush applicator is soft, it's the product itself that is not appealing for me. I wish I chose the black alone and not Pearl Black. I didn't upload a photo of me wearibg the gel liner because it looks messy on the lids with the glitters and the gel is sticky that's too hard to blend. What I like about this product is that it's almost waterproof. It's not very easy to remove. However, the shade doesn't suit me well so I guess I'm giving this away. Will repurchase? Not this shade but will try the other without shimmers. Disclosure: I received this product for free from my Althea Beauty Box but opinions are mine.